and get you sliding down the slope to the weekend. The cooling effects of watermelon. "People are always trying to convince us to drink less. Think of the children, they say. Think of the liver. The money. The embarrassment of walking into stationary objects. Yet even as broken blood vessels riddle the cheeks of the nation, on we drink. This made me laugh quite a lot! Time to search out some of those photos that you took way back when, (or just last week), and meant to show off, but didn't. This idea was brought to us by Kim of Frog Ponds Rock and the rules are very simple. 2. Link back to Kim somewhere in your post. 3. Go to Frog ponds Rock and add your name to the linky list. 4. Leave Kim a comment, because she loves comments as much as the rest of us. This week I have a few photos of a local reserve, more a park really, and very pretty too. It's the same reserve that has the "metal art" thingy I featured last week, but I haven't been back there to see if I could get more information about it. Situated on a corner, across from a shopping centre. That building you see is very near the main road and has the "metal art" sculpture in front of it. I'm watching A Current Affair as I type this and they've just done a story on older shoppers being taken advantage of when shopping. An older, grey haired actress was sent into various stores to inquire about buying particular items. A television - the woman stated she lived in a unit, was on a pension, so didn't want anything huge, just a basic TV to watch dvds. The salesman gave her a pretty hard sell, trying to get her to buy a $1700 package deal, including a top of the range blu-ray dvd player. Same store, younger male customer, (actor) asking to buy a basic small TV to watch dvds on, was shown a TV costing just under $600. And nothing else. Same older grey haired woman "buying" a vacuum cleaner. Again stating that she lived in a unit, yet the saleswoman gave a demonstration of a very expensive (over $700) vacuum cleaner, insisting that this was what she needed to "get a really good clean". My friend Kath who writes at Blurb From The Burbs, has been entrancing me with her stories of life and family for years now. I discovered blogs when I read a link in a column called "Net Adventures", in my local newspaper, The Advertiser, one Saturday. I'd just recenly got a new computer and was looking for websites that might interest me. From the very first day, Kath had me hooked. I spent a few weeks scrolling through her archives (she probably thought she'd picked up a stalker), and finally worked out how to leave comments. (Through the comment box, I learned how to link to other blogs, and we all know the rest of that story, I'm sure). Anyway, through reading Kath's posts for so long, I feel I've come to know her, LC, her husband, and their wonderful daughter,Sapphire, quite well. Sapphire, this is for you. to you, from Adelaide, Australia. The day to get a googled giggle to help you over the "hump" that is Wednesday. Time to post photos that you've never posted before. Or maybe you have , but think they deserve another viewing. This idea comes to us from Kim of Frog Ponds Rock,http://frogpondsrock.blogspot.com/ who takes many, many photos, as we all do, and wanted to show them off. Particularly her fantastic moons and sunsets. A once a week meme seemed like a good idea, so Sunday Selections was born and anyone at all vcan join in. This week, I'm featuring three pieces of art that I photographed recently on my wanderings. These window screens are much prettier than the usual bars or grids. The Slide. This was in our Rundle Mall last summer. I'm not sure if it is still there, maybe it has been moved on. I forgot to photograph the plaque that was on the plinth. This interesting piece is in a local reserve close to my home. I have no idea what it represents, there doesn't appear to be any signs indicating who made it or what it is. I'm sure we've all seen tea ladies in old movies and TV series. They'd go around in office buildings with their wheeled trolley that had a giant urn of hot water, many cups and saucers, a selection of biscuits or small cakes, along with jars of sugar, coffee and teabags. A covered jug of cold milk was on there too. In much earlier days, there'd be a huge pot of tea, because teabags hadn't yet been invented. In TV shows, these ladies were usually plump, curly-haired and always happy. They'd go from office to office, hearing snippets of phone conversations and gossip, as they dispensedmorning and afternoon teas. They got to know all the workers, from upper management down to the lowliest newbie and usually knew everybody's family history and their secrets too. Fifteen or twenty minutes later, around she'd go again, collecting the now empty cups and sandwich or cake wrappers. Part of a song by country singer Alan Jackson. 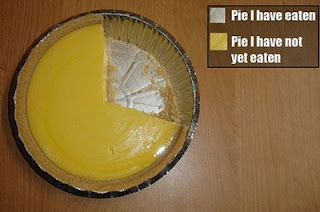 a little bigger piece of the pie, but I'm betting that little bigger piece will be eaten up by other costs just as quickly as the smaller piece of pie that we now have. So are we really going to be any better off? Here for your weekly "hump day" giggle is this googled image. Time to post photos that have been languishing away in your old, (older, oldest), files. This idea comes to us from Kim at Frog Ponds Rock, who realised one day that she had many, many photos stored that never, ever get seen. Kim wanted to share her pictures, so thought up this once a week meme, called it Sunday Selections, and it's been going strong for over a year now. Blue skies reflected in the windows which have blue panels between the floors and blue shades on the northern side. Reflected blue skies make the buildings appear to be very white. A different building, still blue, but made aqua by the window shades. More blue windows, coloured by the heavens. Shiny, blue glazed ceramic pots. Aren't they gorgeous? I'm finding it surprisingly easy to stay away from the internet. I've checked my email a couple of times, I've read a few blogs and left comments. But really, my heart's just not in it. The enthusiasm, the fun....it's gone. Trying to find something to write about is a chore now, where before this I would just put down whatever popped into my head. If a lot was in my head, I'd get them all sorted out and scheduled and just check in everyday to read the comments, (or see the lack of comments). Then read everyone else on my list. I haven't yet worked out the scheduling problem with this new dashboard page, so I've given up on scheduling for now, since I can't think of things to write about anyway. I'm sure the enthusiasm will return, but in the meantime, I'm watching dvds, reading real books, I've done a couple of dozen code cracker puzzles, (Ilove those), and I've been sleeping. Get home from work...take a nap. Next Sunday, 13th, it is Mother's Day here in Australia, so I chose something relevant to the occasion. 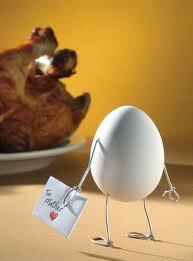 Happy Mother's Day, to chook from eggy. and I thank those persons who put them "out there". Because I treasure each and every one of my internet friendships, I shall elaborate. I spend an inordinate amount of time at bus stops now. Getting to work takes two buses, both of which I have to wait for, because they don't pull up automatically at the snap of my fingers. Getting home again takes two buses, both of which....well, read the above sentence. And with winter, the bus schedules frequently run late with more people using the bus and rain slowing down traffic etc. It's quite tiring, so by the time I get home, (after hours of scanning, lifting and bagging giant economy sized everything), I crash on the couch and wake up at dinner time some nights. Another reason is the iffy connections I have now. There are two time windows during which connecting to the internet is reasonably quick and trouble free. But look!! I remembered to put up the button Kim made for us! And the important part is to link back to Kim at Frog Ponds Rock. This weeks photo's are of a bird skeleton that I found in one of the garden beds here while wandering around them last Easter. a close up of the beak. I'm positive a cat didn't kill this bird as a cat would have eaten the whole thing apart from beak and claws, so I wondered briefly how the bird had died. these cute little welcoming frogs. I'm currently reading one of Nora Roberts' newer books, Chasing Fire. Rowan Tripp is addicted to danger. Ever since she turned eighteen, Rowan has been a "smoke jumper", fighting back the ferocious forest fires that sweep through the Montana mountains each year. Once past the first chapter, the story became quite riveting and I didn't like having to put it down and go to work. I read over breakfast, on the bus, before my shift started, on the bus on the way home. Well, that's not new, it's what I always do. Back to the point of this post...the Pulaski. Throughout the story, mention is made of something called The Pulaski, a firefighting tool that I had never heard of. For this season I mean. I noticed a few blooms on the bushes near my front door, so went out to cut them for my kitchen. ﻿Beautiful aren't they? I love the yellows and oranges that remind me of sunrises and sunsets. That half open bud was already full blown. Top heavy and drooping downwards. I had to get down on my knees and aim upward for this shot. But it was worth it, don't you think? was faded and overblown, ready to drop the petals, yet still holding on to them. How to peel a hard-boiled egg successfully. 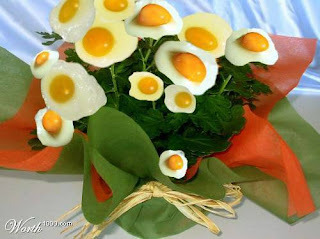 First, hard-boil your eggs and allow to cool. Tap the bottom of your egg firmly on your bench or chopping board, so the shell is well cracked. Next, tap the tip of your egg in the same manner, ensuring it becomes well cracked. until the shell is well cracked all over. Now the shell should peel away easily, without taking any chunks out of the egg. I was reminded of this method after reading about it on another site (I think it was Delores at mybabyjohn). I learned this from my mum and have been doing it all my life. 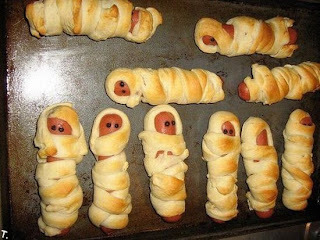 To help you get over "hump" day.......baby hotdogs! I've been reading about this in the papers and hearing about it on the news. So I knew it was coming and got a bitexcited. I read a list of locations where the work had already begun, where it was scheduled for the next three years, where it was scheduled for the next decade. Hmmm. Included was a list of Adelaide suburbs that were getting the broadband network and when. I'd thought it was going everywhere. But no! 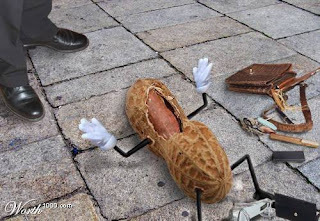 No no no! Some suburbs are not only not getting it soon, but missing out altogether! Fullarton, and immediate surrounding suburbs are not getting this National Broadband Network. Bad enough that I'm now in a location with iffy coverage, but to learn there will be no improvement, not even in a decade.....well....to say I'm disappointed would be an understatement! I wonder what the criteria was, to be included in the rollout? The number of businesses in the area?